Let the peas boil in a pot of salted water and drain. 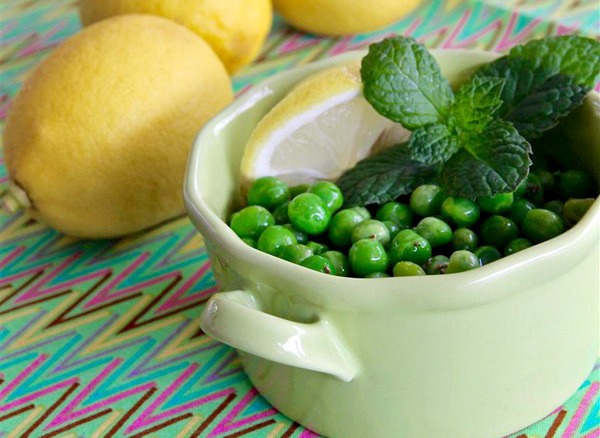 Immediately place the peas into a large bowl with cold water and ice cubes to remain crisp, and then drain again. Finely chop the lettuce, dill and spring onions and pour into a large bowl, along with the peas. Mix well. In a bowl, mix the lemon juice and zest, salt, pepper and olive oil and beat well. Pour mixture over the salad and serve. Add more salt, if necessary. Tip: This is a fasting recipe, but if you’re not fasting you can add crumbled Feta or goat cheese.